Blessed poison frogs (Ranitomeya benedicta) are from the Amazon rainforest of Peru. Newly described in 2008, they were originally thought to have been red-headed poison frogs (Ranitomeya fantastica) but were found to have different vocalizations and physical characteristics. They are listed Vulnerable by the IUCN Red List of Threatened Species and have a limited range which continues to shrink with human development. 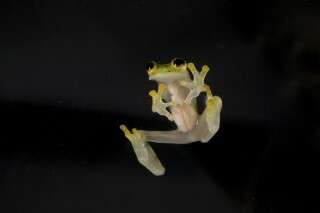 These small amphibians also face the threat of over collection for the pet trade as they are a favorite among hobbyists. Blessed frogs are one of the larger species of thumbnail poison frogs; adults measure a little over three-quarters of an inch in length. They have a distinctively bright red head with a black band across their eyes. The rest of the body is black with blue and black reticulated patterned legs and undersides. These bright contrasting colors are defensive and warn predators of their toxic nature. With the display of color protecting them, blessed poison frogs live a bold, diurnal lifestyle actively foraging for small invertebrate prey. Blessed poison frogs are ground and bromeliad nesters. Males find a suitable area for egg deposition and begin a chorus to attract a female. When a female arrives — and if she approves of the male and location — she deposits her eggs enclosed in a jelly capsule. The male then fertilizes them. 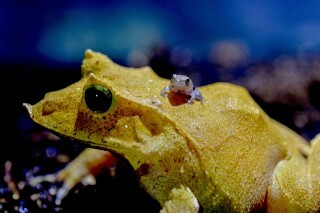 In the wild, male blessed poison frogs normally take care of the developing tadpoles. 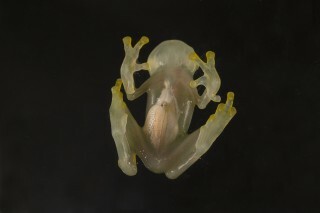 When they are ready to hatch, they transport them to the water at the base of a bromeliad. 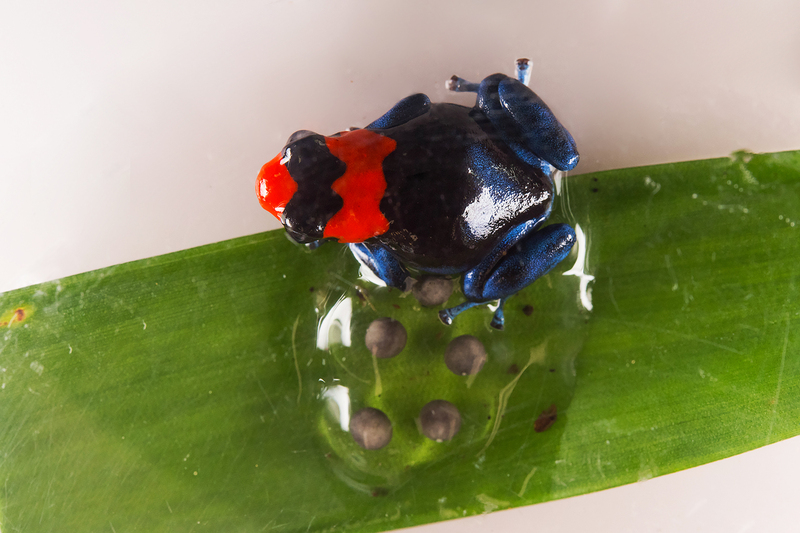 WCS’s Bronx Zoo is propagating blessed poison frogs. When the frogs reach adult size, the reptile staff has plans to add a small group to a diverse frog exhibit known as the “Jewels” exhibit in the zoo’s World of Reptiles.